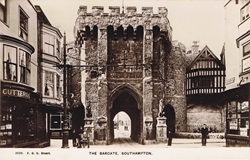 Originally dating from c.1180AD and constructed of stone and flint, the Bargate was formerly part of the medieval city walls and was the northern gateway into the city. 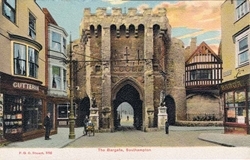 Expansion of the city northwards found the Bargate sitting astride the High Street, dividing it into 'Above Bar' and 'Below Bar'. 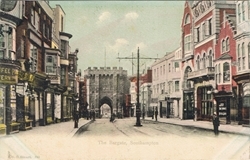 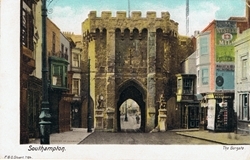 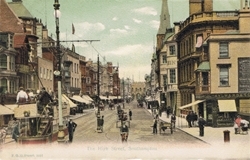 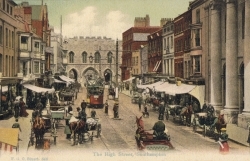 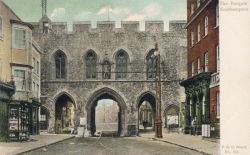 Until the 1930's the buildings of the High Street abutted directly onto the Bargate's walls necessitating all traffic to travel through the Bargate itself. 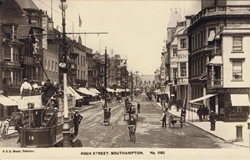 The corporation tram company operated vehicles specially designed to navigate the narrow passageway. 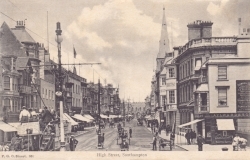 Upstairs passengers were directed to mind their heads when passing through! 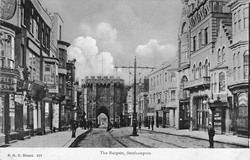 It was not until the 1920's that a roofed tram was designed that would fit through the arch. 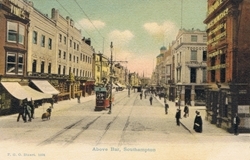 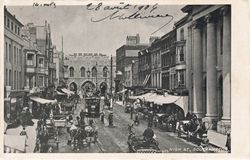 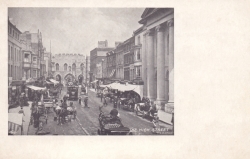 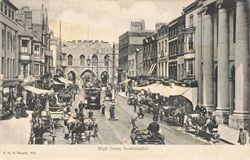 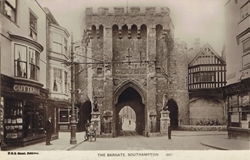 The growing importance of motor vehicles meant that the Bargate was becoming a serious impedance to traffic so during the 1930's, after initially contemplating demolition, the abutting buildings were demolished instead and the Bargate bypassed. 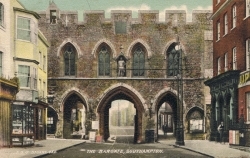 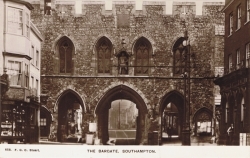 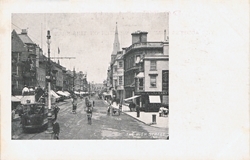 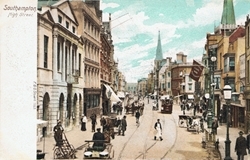 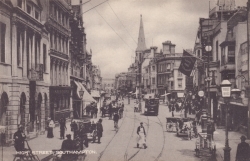 During the 19th Century the upstairs room of the Bargate acted as the town's Guildhall, and the town police and fire stations were situated nearby in Bargate Street. 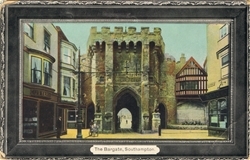 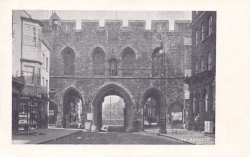 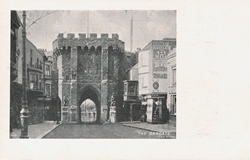 The Bargate acted as a police station during the second world war which it survived mostly unscathed despite heavy damage and destruction all around it, and more recently has seen service as an art gallery and a museum. 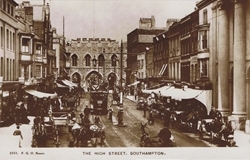 The shields on the northern face depict the coats-of-arms of Southampton's most important families. 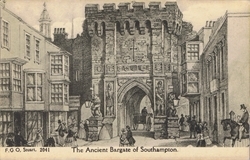 On the southern side there is a small statue of George III in Roman dress. 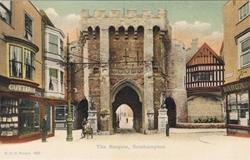 The Bargate can be seen, along with the rest of Southampton's medieval defences on this Google map.